Hey everyone, I am so sorry but this fic is no longer being continued. Thank you all for your support and kindness throughout this great journey. Michael and Sara meet by chance a week before Michael goes to Fox River. Neither is aware of who the other is, and attraction immediately sparks between them. When they unexpectedly meet a second time, a tentative relationship forms, and they spend the week together. When the week is over, Michael must leave for Fox River, and just a few days later Sara begins her new job as the doctor at Fox River State Penitentiary. When Sara discovers Michael's deception, his entire plan is jeopardised- but even worse, he may have lost Sara forever. This AMAZING banner is credit of Denisse (Anemone_Pirate). Summary: A short study in the evolution of Michael's and Sara's feelings for one another. Takes place throughout the first season. All fluff with a side of angst. Summary: What if... on the night that Lincoln called, Veronica was not the woman that Michael bumped into at the bar? What if it was a very different woman he met that night, and he did make the choice to answer the call? Would it all come up roses if he'd kept Lincoln out of that garage? Summary: In a world where Sara was in on Michael's plan from the start, she wonders how he would've gotten it if they hadn't met years before Fox River. He demonstrates. 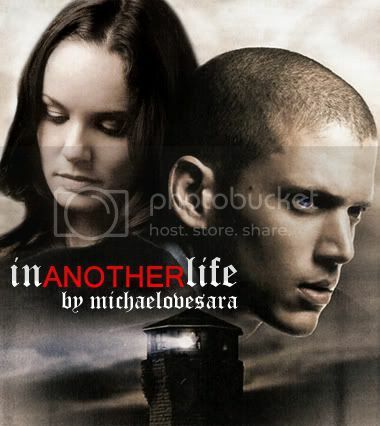 Summary: Sara’s thoughts on the prison break and her relationship with Michael. Set after episode 2.03, ‘Scan’. I haven’t seen the episodes after that, so any mistakes are of course my own. And obviously I don’t own anything but my imagination, this is written purely for fun, with no copyright infringement intended. Reviews welcome! Summary: With Michael, hardly anything is as simple as it seems. Summary: S1 nostalgia-drabble. Michael needs to know Abruzzi's got his back, and Abruzzi is willing to do whatever it takes to prove himself. CH.17 - Follow Up up now Lincoln never got his stay of execution. What will Michael do now that his reason for incarceration is dead? How will the other inmates react? What about the escape plan? A hugely incredible thanks to Ameraleigh for the amazing banner(s). Summary: Pre-Series to S1: It used to be something to cope with. Who knew that it was destined to become important? Summary: Pre-series through S1, mild one-sided slash: All those failed hopes through the years have never kept Michael from dreaming his own version of the future.